MT ELIZA man Bill Robinson got a shock when he saw what he thought was a man’s body floating face down in the water off Sunnyside beach last week. 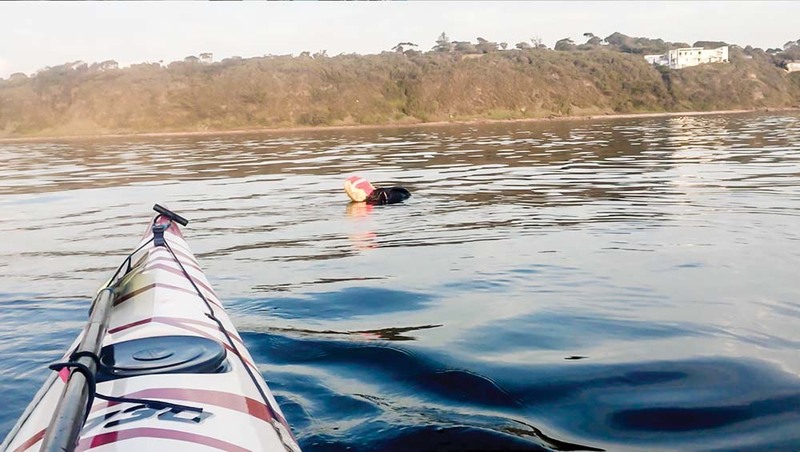 The retired veterinary surgeon, 74, was on a regular training paddle with Mornington friend Tamsin Visick, Tuesday 26 June, when they came across the wetsuit-clad figure on the way back to Mt Eliza. After the initial shock, they realised the wetsuit did not contain a real person and attached a line to it. “It was hard work getting it back to shore and we appreciated the difficulty we would have had in a real-life scenario, particularly in rougher conditions,” said Mr Robinson, who then called police. Mornington Senior Sergeant Neil Aubert said the “body” turned out to be a training dummy missing from an emergency services rescue exercise. He said police had traced the owner and it was later collected. Calls by The News to Volunteer Marine Rescue, Mornington, and Coast Guard Safety Beach, failed to find out who had lost it. The episode won’t quell Mr Robinson’s passion for sea kayaking. “I paddle between Mt Eliza and Mornington on a regular basis throughout the year,” he said.